Gaming services provider giant Playtech has agreed to a new deal to provide a number of its products and services to GVC Holdings umbrella until 2025, which will include its US-facing ROAR Digital Joint venture with MGM Resorts. 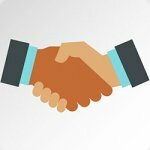 The deal is an extension to a pre-existing relationship between GVC and Playtech, and the expanded deal is expected to cover services …. Yggdrasil Gaming has recently announced a March release for their latest pokie Dwarf Mine, which is set to be as high-quality as many of their other recent releases, and boasts a fairly high win potential. The story takes a back seat to the gameplay, as there are many mining-themed pokies in the industry already, but the game comes with a …. 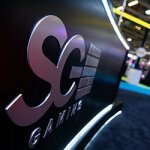 Despite strong growth in revenue, Scientific Games did not manage to offset the impact of growing costs in 2018, and the gaming solutions service provider’s loss for he year grew to $352.4 million. Revenue for the entirety of the 12th months that ended on the 31st of December was up 9.1% year on year, with only a marginal decline in …. Lightning Strike is the newest pokie game from Blueprint Gaming to be included in the Megaways category, and draws its inspiration from the ancient Norse people and their gods, with wins of up to 10000x the stake up for grabs. There are 6 reels in the base game of Lightning Strike, and as many as 15625 Megaways active during a …. Fire Dragon is the third online pokie to be released as part of the Jackie Chan series, offered by Real Time Gaming. The new game features winnings of up to 50000x of the line bet, as well as an Asian-theme that’s aimed at those who are fans of the famous actor. Thematically, the pokie draws most of its inspiration from …. 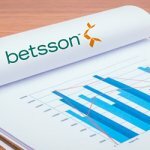 Online operator Betsson has reported year on year growth for revenue and gross profit for 2018 due to a record performance by the company in the fourth quarter. Group revenue for the 12 months leading up to the end of December accumulated at $581.9 million, which is an increase of 15% as compared to the previous year. 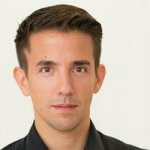 Betsson has explained …. London-based 888 Holdings has recently announced the promotion of Andrew Anthony to take on the role of leading player protection efforts where he will be working as the new responsible gaming director. Anthony is set to oversee improvements of 888 Holdings’ operations, processes, and systems as new division head, and will report to senior vice president and head of customer …. 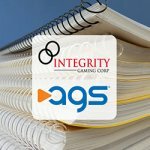 Gaming tech supplier PlayAGS has completed a $49 million acquisition of pokie route operator Integrity gaming. AGS has bought all of the operator’s issued and outstanding common shares for a total cash payment of CAD0.46 per share, and the deal will also include the repayment of outstanding debts, which is currently valued at around $35 million. The terms of the …. Software developer and supplier Playtech has implemented its Gaming Standards Association new Third Party Interface standard as part of its Playtech Open Platform content aggregation. 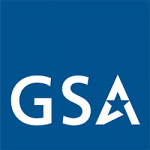 The gaming company is now the first business within the industry to integrate the standard after having worked closely with the GSA’s Online Gaming Committee to work on the brand new initiative. According to the …. Bonnie and Clyde is the latest pokie from Red Rake Gaming, inspired by the story of the two titular fugitives who committed a number of crimes in the United States during the 1930’s. The game consists of 5×4 reels with 50 paylines present on each, and with wins of up to 750x the original stake for each round. The game ….